The Print Your Own Picture Dominoes Set 1 CD contains three different sets of dominoes games to be enjoyed by up to 6 players at a time. Rather than the traditional dots, the dominoes have brightly coloured pictures pertaining to the theme being used. 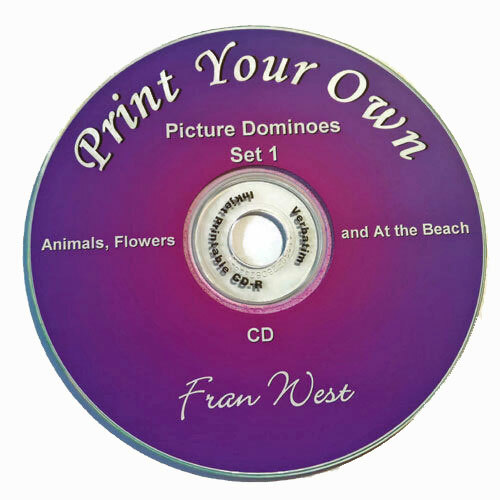 Instructions for printing and laminating the dominoes are included on the CD. May also be used as a one to one picture matching activity. 3 different sets are Wild Animals, Flowers and At the Beach.